You are a leader in any realm of human endeavour, whether managerial, social, political or cultural. You could be an entrepreneur, an institution builder, a Chief Executive Officer, a policy maker or a related functionary, either in the private sector, or in the public sector. You could be serving as a senior officer in a government department. You could even be heading the operations at a non-governmental organization. 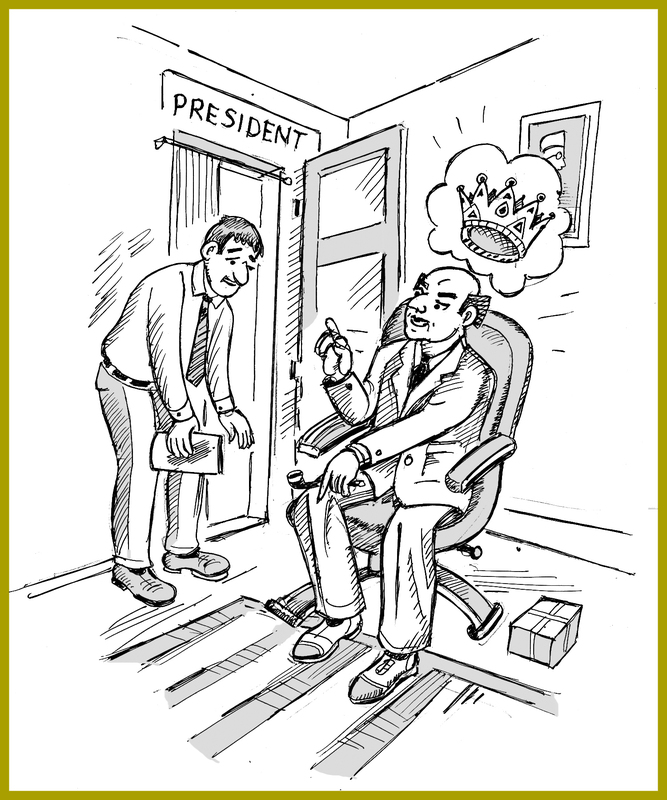 You are perceived to be a successful leader. However, somewhere deep within, you carry within you a sense of creative dissatisfaction; a yearning to discover a practical way to transport yourself, your team and your organization into a happier and contented frame of mind. You are keen on going beyond your own professional and personal interests and in getting involved in humanizing your organization. If so, this book could prove to be a game changer in more ways than one. It makes you see the world around you in a new light, without the filters of your preconceived notions. By making you aware of the kind of mindsets which affect your decision making, it offers a new lens with which you can view the phenomenon we call leadership. The book then goes on to capture the results of an empirical study done by the author, thereby demonstrating the practical wisdom of what it proposes. Eventually, it offers you a practical guide as to how to go about implementing the changes you wish to make, so as to become a happier and a contented leader. This book is not about a new leadership theory which might leave you fuming after discovering that it merely offers the proverbial old wine in a new bottle. It provides a fresh perspective on leadership. The perspective it presents has already been tried and tested in real time. Much along the lines of the famous Hawthorne studies of the 1920s, the approach to leadership is being rolled out in a corporate entity in India even as you go through the book in your hands. The book also presents divergent perspectives on the subject of leadership from different subject experts, touching upon globalization and a bird’s eye view of different theories of leadership through the recent history of management thought. There is an attempt to understand leadership through the basic tenets of Buddhism. It also endeavours to connect the key teachings of Raman Maharishi to the realm of leadership. The soul of the book, however, lies in its unique approach of SPANDAN, or human vibrations. Around the nucleus of this concept, it builds a mighty edifice of propositions which offer the potential of making you a more effective leader. In the times to come, just how serious would be the threat to human supremacy from machines? In our age of Artificial Intelligence, Robotics, Machine Learning, Algorithm Analytics and Internet of Things, just how relevant would this new approach to leadership be? The book proposes that in the impending man–machine conflict, human beings are not likely to suffer the same fate as that of the non-avian dinosaurs which went extinct some sixty-five million years ago. But the writing on the wall is clear. They need to roll up their sleeves and get down to the task of sharpening their soft skills. 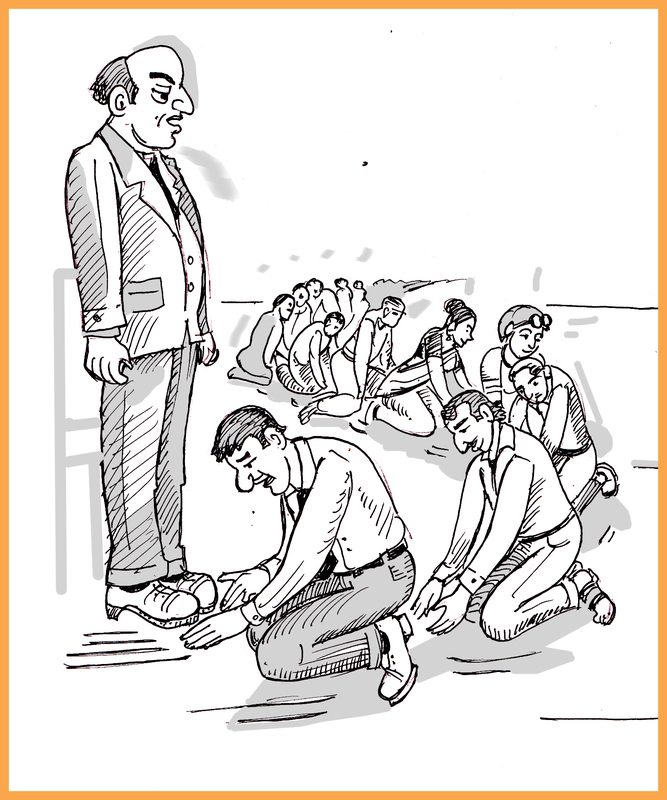 A humane approach to handling team members needs to be consciously developed. To sum up, the book, through theoretical propositions and empirical evidence, presents a new way to look at the kind of a leader you could aspire to be, and the potential you have to grow further, making you a happier and contented person, exuding warmth and positivity to those whom you happen to lead. It provides a fresh perspective which is not likely to lose its relevance in a future replete with technological advancements, environmental challenges and more potent uncertainties which leaders in any field of human endeavour would face in the decades to come. To facilitate your learning process, the author has selected some themes and some quotes from mentors of repute. These are designed to enable you to Introspect at the individual level and also to Interact with others at a small group level. These could also motivate you to Initiate suitable steps at the collective/large group level, so members of your organisation could empower themselves and become more productive and responsible citizens over a period of time. You will come across these suggestions at the end of some of the chapters. You can develop these themes further and convey the same to key individuals, small groups and large groups, in any form of communication – written, verbal, a group presentation and even a panel discussion. A final report based on collective feedback could assist you in measuring the effectiveness of this approach. The importance of human values in our lives – whether personal or professional – can never be overestimated. In a book about to hit the market, the author, Professor G P Rao, builds upon his considered belief that managements which choose to ignore this crucial aspect in their decision-making do so at their own risk and peril. Their market valuations take a hit. Their brand image gets dented. They fail to take a long-term view of things. Instead, they end up window dressing the key performance parameters till the time the proverbial bubble bursts. They simply live from one quarter to the next, focusing on immediate deliverables. 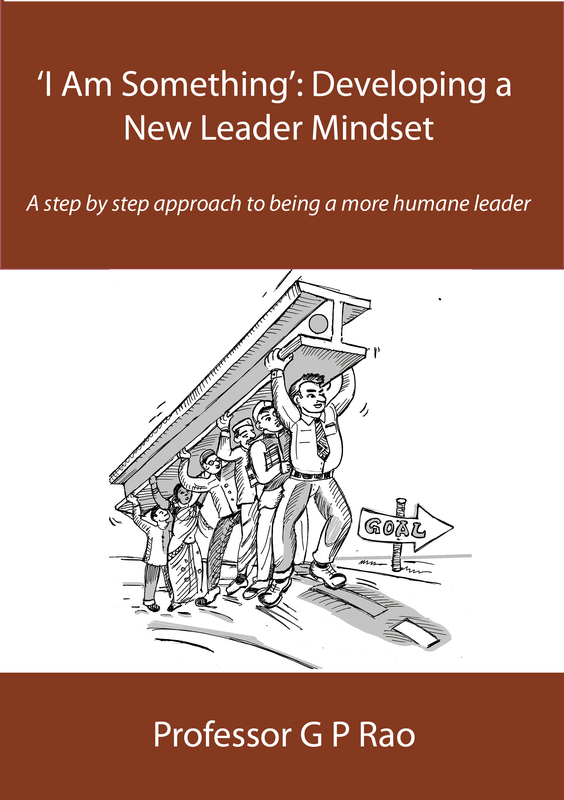 In the upcoming book, the author not only proposes a theoretical construct of Leader Mindsets but also takes you through the steps involved in practising the same. Whether by way of an empirical study or by the means of a practical roll-out of the Spandan approach in an organization, results have been gratifying, establishing the value of the ‘I Am Something’ mindset towards the goals of organizations. As humanity cruises along and takes off on the path of an exponential growth in technology, the need for a Spandan kind of approach would come into a sharper focus. Human values alone have the potential of acting as a rudder, keeping the trajectory of our evolutionary path on the right track. Leaders of tomorrow would find better satisfaction and happiness by adopting the ‘I Am Something’ mindset. 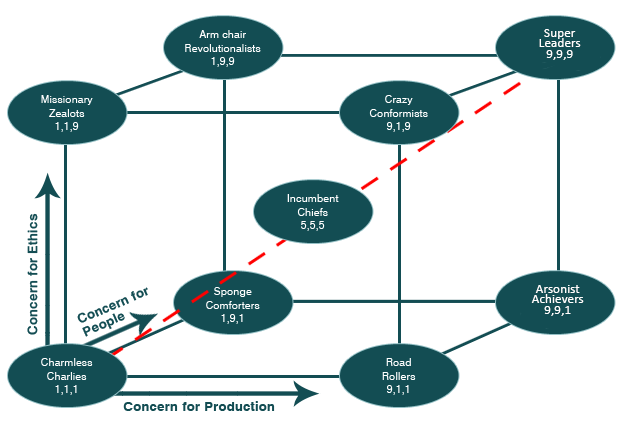 So would their team members, were the leader to decide to facilitate their developing along similar lines. 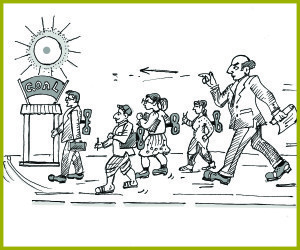 A spread across organizations and then across societies would be a logical corollary.